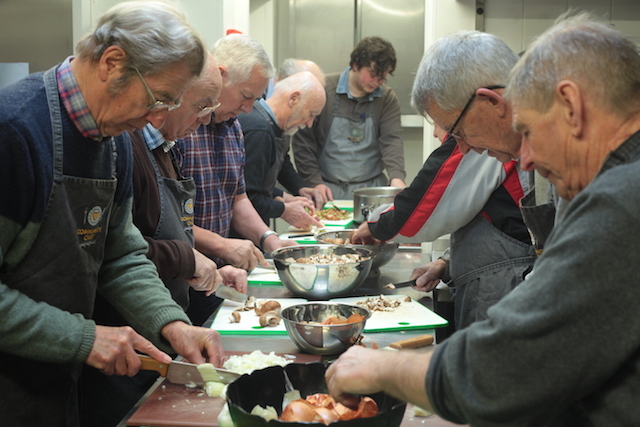 Thanks to the support of the tens of thousands of people who voted for us we received funding from the People’s Projects to be able to offer free Man With A Pan cookery courses for men who are carers, bereaved, isolated and in need. We run them with support from from Alzheimer Cafe Camberley at a lovely kitchen at St Mary’s Church in Camberley and they are open to participants from across Surrey Heath and surrounding areas. The course is run over five weeks and graduates learn a full range of cookery skills, healthy eating tips and a range of delicious and easy dishes. The men cook and eat together and take another meal home. The sessions are active, light hearted and social. 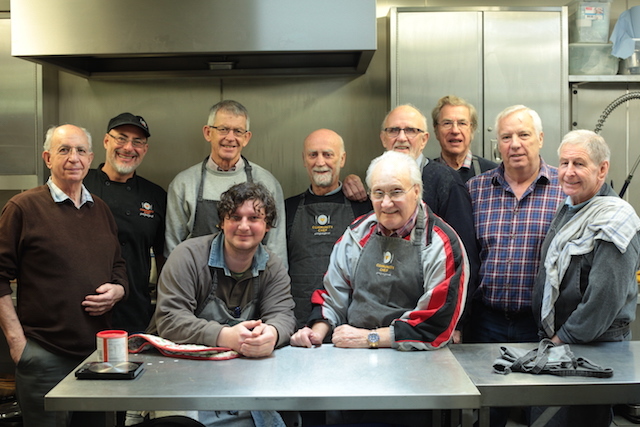 In addition to the classes, we have regular reunions and graduates are encouraged to help with our monthly community cookery event where we prepare food for the Alzheimers Cafe and a local homeless shelter. To find our more about Man With a Pan, please email us. Read more about how Man With A Pan began.